We’d love your help. 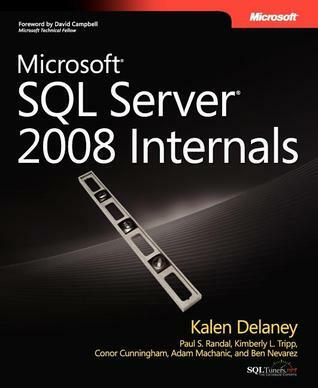 Let us know what’s wrong with this preview of Microsoft SQL Server 2008 Internals by Kalen Delaney. To ask other readers questions about Microsoft SQL Server 2008 Internals, please sign up. During the course of my work day, I spend the bulk of my programming time working with SQL Server: writing queries to retrieve data from our expansive scheme, creating or updating records, or designing new table structures to support exciting features. Recently, I've added "making slow SQL go faster" to the list of things I expect to be able to do well. Towards that end, I'm attempting to immerse myself in the technicalities of how SQL Server does what it does and how my choices as a developer c During the course of my work day, I spend the bulk of my programming time working with SQL Server: writing queries to retrieve data from our expansive scheme, creating or updating records, or designing new table structures to support exciting features. Recently, I've added "making slow SQL go faster" to the list of things I expect to be able to do well. Towards that end, I'm attempting to immerse myself in the technicalities of how SQL Server does what it does and how my choices as a developer can affect that. In addition to taking classes and reading books specifically about query tuning and optimization, I thought an internals book would provide some much-needed context about what really happens behind the scenes. It's still too soon to tell if that will pan out but if it doesn't, it would be no fault of this book. This book is an excellent deep dive into how SQL Server manages all of that precious data we shove into it every day. While being highly technical and detailed, it's also approachable. The style is easy to read and it's filled with diagrams and pictures that help a brain figure out what's going on. I can now have intelligent conversations about how inserts into clustered indexes are managed (down to the page level) and how the query optimizer will choose between competing plans to handle a lot of joins. I know what's going on when I type "select *" in ways that I never did before [Ed: I'd never type "select *"...]. That said, the most beneficial part of this book is how it describes the functions available in SQL Server for me to see how my own data is organized. It explains the various methods available for me to see how pages are allocated across indexes, what's currently in my plan cache, what physical operations the database has been performing lately, and more. I've been keeping a file of useful queries to run and I expect I'll be using this file for the next several years. If this book has any faults, it's largely that it skips some of the newer features that we use a lot. As an example, I could really use more information about XML parsing in general (and XML indexes in particular) and how the database feeds data to the CLR when running CLR code. Still, these are small complaints since the majority of my workload uses the bread and butter stuff that this book describes. I think (and hope?) that reading this book will play a part in moving me from being an adequate or advanced SQL Server developer to an expert one. This book took me a good six weeks to finish as it had so much information to consume that I would often find myself reading for ten or twenty pages and then having to take a break. However, I feel like reading it cover to cover once, in combination with some of the MCM Prep videos, has given me a very strong foundation of how the engine works. I'm sure that I will continue to look back at some of the chapters over the next several years as I come upon problems with T-SQL. This book is highly re This book took me a good six weeks to finish as it had so much information to consume that I would often find myself reading for ten or twenty pages and then having to take a break. However, I feel like reading it cover to cover once, in combination with some of the MCM Prep videos, has given me a very strong foundation of how the engine works. I'm sure that I will continue to look back at some of the chapters over the next several years as I come upon problems with T-SQL. The best SQL Server book I ever read. You will not learn how to administer a SQL Server installation. This is outside the scope of this book. Really perfect the fifth chapter, where you can find the details of the physical storage for every bit in the Data pages, for every datatype, and so on. 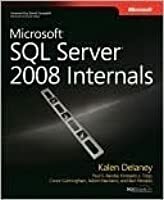 The perfect companion piece to Itzik Ben-Fan's T-SQL Querying, Kalen Delaney [et al] manages to expose a lot of what makes SQL Server tick; from the basic architecture to tables & indexes thru to an extensive examination of the DBCC command. Highly recommended. Kalen [et. al.] 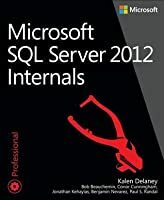 have produced a truly great SQL Server internals book, again! It covers many areas of how the DBMS actually works and will help any DBA get from the uknowns to pinning down the details. I found this to be a difficult book. I guess that's because it's about the internals.